Leading 2 Change Consulting is a forward thinking leadership training and consulting firm that focuses on changing the way leaders think about managing their organizations. Leading 2 Change Consulting is owned and operated by Dr. Joseph Hamlett who currently resides in Grandview, MO. Dr. Hamlett has a Doctorate in Business Administration specializing in Organizational Leadership with a research focus in organizational leadership, organizational justice and building organizational capacity. He is a published author on organizational justice and recently finished a collaborative cross-cultural book on leadership and change. Dr. Hamlett has spent most of his adult life motivating people to reach beyond what is directly in front of them in order to reach their goals. He uses experiences from his own personal story that is a collection of trials, hardships, tragedy, happiness and success to inspire people of all ages. With over 20 years of leadership experience he has worked as a janitor, sanitation worker, security guard, line operator, line mechanic, aircraft mechanic, working group leader, quality control inspector, quality assurance inspector, quality assurance supervisor and maintenance supervisor. 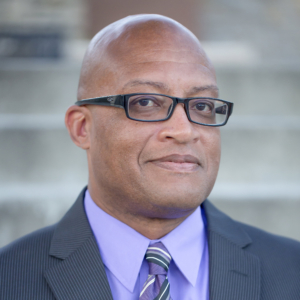 Dr. Hamlett is a mentor, coach, trainer and public speaker highly sought after by many institutions in both the military and the civilian communities. Dr. Hamlett is also a faculty member at Southwestern College in the Professional Studies Department teaching business, leadership and management courses in the graduate degree program. Through his teaching experience Dr. Hamlett is able to assist the development of leaders into facilitators that will positively impact their organizations. The idea for this book stemmed from my desire to assist others in their transition to becoming a positively impactful leader. Over the years, I have been exposed to many different leadership styles and approaches. That exposure has helped me refine my approach to leading others. 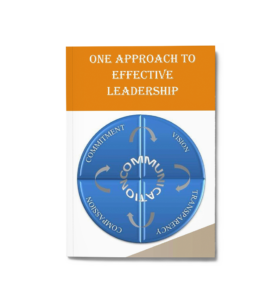 This book looks at one of many leadership models designed to assist leaders in developing their own style and approach to effective leadership. This book is much like a typical journey that we all encounter during a lifetime. What is different about this journey is the fact that we are the narrators of our own story. In fact, we initially script this journey based on our own needs. 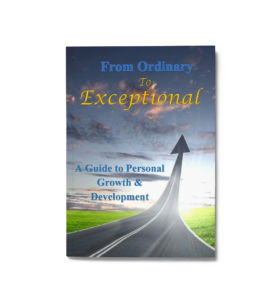 For the purposes of this book the journey we have elected to take has to do with our own personal growth and development. Leading 2 Change Consulting will use the information you provide on this form to be in touch with you and to provide updates and marketing.